On November 20, both the Centers for Disease Control and Prevention (CDC) and the Public Health Agency of Canada issued the second warning this year regarding consumption of Romaine lettuce because of E. coli contamination. Consumers are warned not to purchase or eat any type of Romaine lettuce or product, no matter its place of origin nor when it was purchased. According to the latest update, 32 people have been infected by the Shiga toxin-producing E. coli O157:H7 in 11 states in the U.S. and 18 people in 2 provinces in Canada. 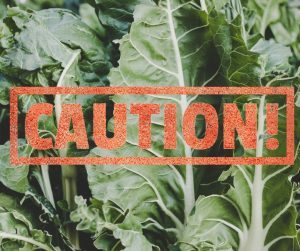 This is the same strain of E. coli that was responsible for a similar warning earlier this year (E. Coli Outbreak Associated With Romaine Lettuce Still Active). E. coli infection can lead to serious illness, including kidney failure. It can also trigger sepsis, your body’s often deadly response to an infection. There are a number of E. coli bacteria, but this particular one is caused by a toxin called Shiga, also called STEC (Shiga toxin-producing E. coli), Verocytotoxin-producing E. coli (VTEC) or enterohemorrhagic E. coli (EHEC). It’s the type that is most frequently associated with foodborne E. coli outbreaks like this one. One of the most common questions asked when there is a similar warning or recall is whether washing the produce will clean away the bacteria, making it safe. While fresh produce should always be washed before it’s consumed to remove pesticide residue and any dirt or debris, washing is not recommended when there are concerns of bacterial contaminations as it may not remove all the E. coli and related bacteria. People who become ill with this strain of E. coli may develop a low-grade fever, severe stomach cramps, bloody diarrhea, and vomiting. Most people do recover within 7 days or so, however E. coli infection could cause serious illness, leading to kidney failure. The people at highest risk of serious illness are pregnant women, children (especially newborns), older adults, and those who have weakened immune systems. Read more about intestinal E. coli infections, including how to reduce your risk, here: Sepsis and Intestinal E. Coli Infections. Next Next post: Bea R.